Tousled blonde hair, a voluptuous pout and glimmering eyes are the centerpiece for Ph.D. candidate Ricardo Zulueta’s two-part film series on legendary French film star Brigitte Bardot at the Cosford Cinema. Zulueta chose the film “Come Dance With Me” to kick off the series. After the screening, viewers discussed the importance of Bardot. The second part of the mini-series will screen Thursday, showcasing two of Bardot’s other films, “Her Bridal Night” at 7 p.m. and “Mademoiselle Striptease” at 9 p.m.
Zulueta’s project is a part of a larger series hosted by the Norton Herrick Center for Motion Picture Studies called “Out of the Vault: European Cult Classics.” In this series, Ph.D. candidates in the cinema department are invited to curate films in the Herrick archives that didn’t get a lot of exposure. “There are 3,500 titles of movies, and there is a library with outdated technology that we’re in the process of digitizing,” said professor Christina Lane, the center’s director. The Herrick archive, which was acquired by the School of Communication in 2010, has a variety of films including old films and what some may call “B” films. “These films aren’t usually critically acclaimed, and we are discussing their cultural and historical value,” said Trae DeLellis, director of Cosford Cinema operations. Zulueta chose the films he’s screening from the collection because they highlight Bardot in her early, rarely-screened, pre-Nouvelle Vague (French New Wave) movie roles. Nouvelle Vague films were films made by young French directors such as Jean-Luc Godard in the 1950s and 1960s. Bardot began her acting career in 1952, but her breakout role came in “And God Created Woman” in 1956. 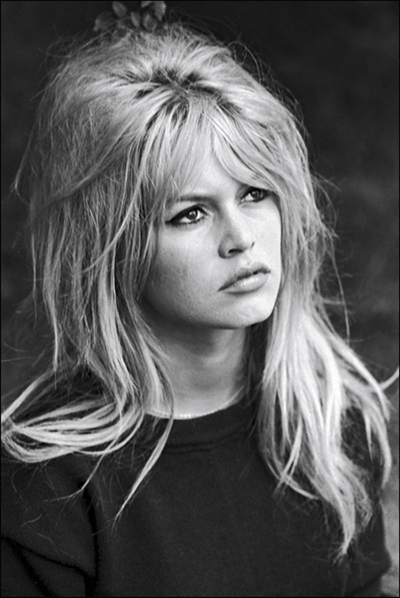 Bardot was best known for her relaxed style and natural beauty. Bardot retired from acting in 1973 and has rarely been in the spotlight since then.